The differences between the Ho’oloas and our original designs are subtle but the way they feel in the water is entirely different! It has a slightly softened catch due to the narrower width but more drive due to the increased length and larger “sweet spot”. The narrower overall profile also helps to reduce flutter tendencies & keep the power more “centered” around the shaft. The Ho’oloa is offered in two sizes: The Ho’oloa 84 is 7.5″ x 16″ (84 sq. in.) and the Ho’oloa 95 is 8″ x 17″ (95 sq. in.). This blade is also offered in the “Downwinder Paddle” section with an xTuf or xTuf(S) shaft. To configure your paddle, you will need to choose a Blade, a Shaft, and a Handle. Besides the standard shafts and handles we offer a long shaft ($25 extra) and the very versatile Extended Ergo T handle ($50 extra) as a selectable option. The Extended Ergo T handle is also available separately for $65. Sorry, the Extended Ergo T does not fit other manufacturer’s paddles. 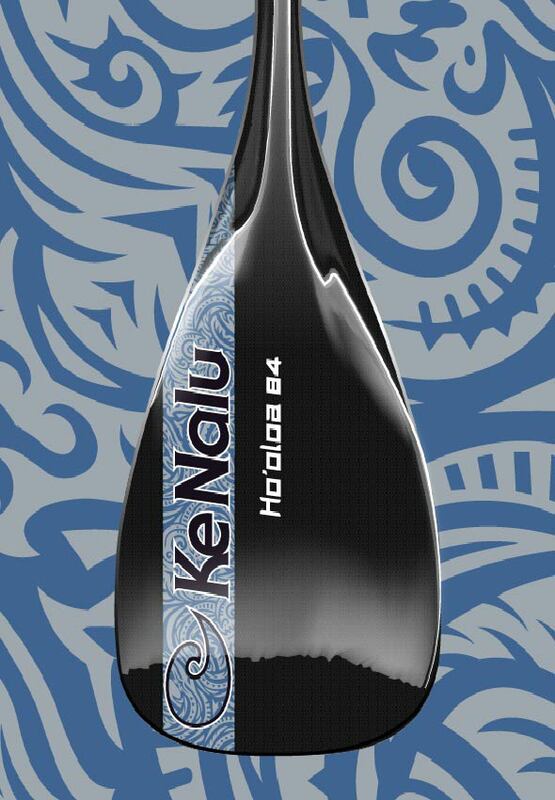 Paddle Lengths with uncut Standard Shaft: Ho’loa 84: 83″, Ho’oloa 95: 84″ (Long Shaft adds 4″).